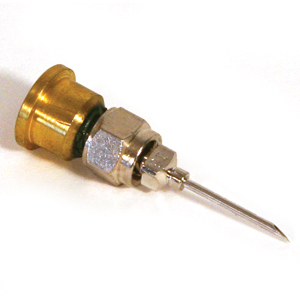 An exclusive attachment which adds injection capability to many sprayers. Metering tips allow you to change your sprayers dilution ratio. 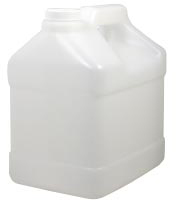 Eight different dilutions are obtainable to dilute concentrated chemicals automatically. Unit is used wherever sub-surface injection of chemicals is needed. Can be attached to a 3.8 litre bottle. Every squeeze automatically injects 5 ml of solution. The jet power pressure sprayer does all your spraying - EASIER. No moving parts to break. 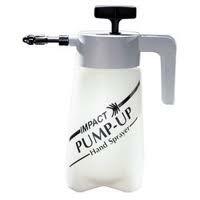 Solo handheld sprayers can reach full pressure with about half the pumping required by other brands. 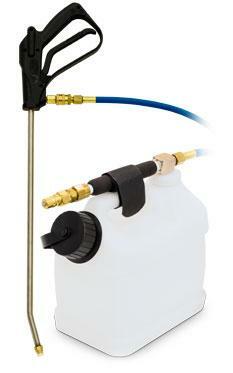 1.9 Litre, one hand pressure sprayer with adjustable nozzle.